24 cm 768 p. : ill. 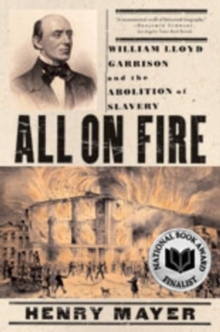 Widely acknowledged as the definitive history of the era, Henry Mayer's National Book Award finalist biography of William Lloyd Garrison brings to life one of the most significant American abolitionists. Extensively researched and exquisitely nuanced, the political and social climate of Garrison's times and his achievements appear here in all their prophetic brilliance. Finalist for the National Book Award, winner of the J.
Anthony Lucas Book Prize, winner of the Commonwealth Club Silver Prize for Nonfiction.